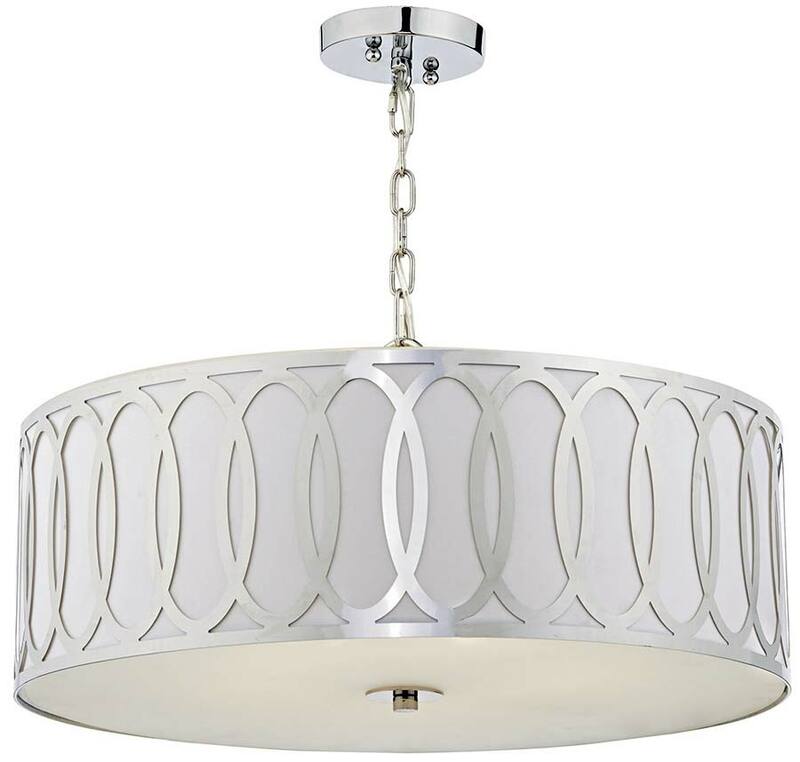 A contemporary pendant light, featuring a laser cut polished chrome circular shade with a white faux silk lining and bottom mounted white glass diffuser. 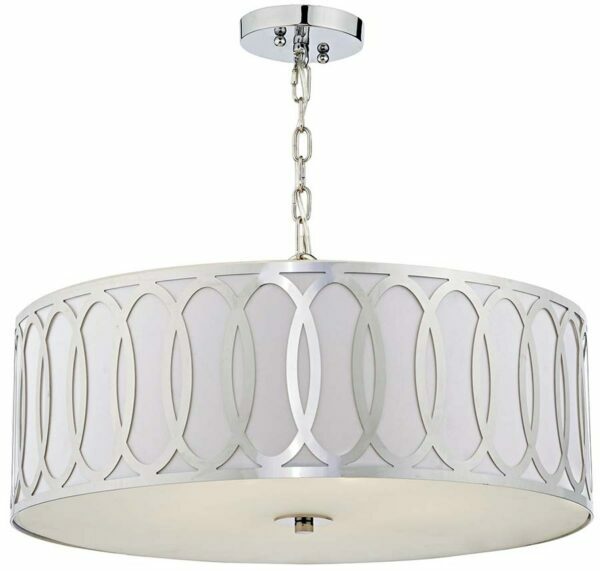 Matching chrome suspension chain and slender circular ceiling mount complete the elegant design. A fantastic choice for the modern living room, dining area or bedroom, supplied with ample suspension chain allowing it to be mounted at a lower level. Height adjustable at the time of installation, minimum height 40cm, maximum drop 140cm. Please note that there are no other products that match the Acura light fitting.